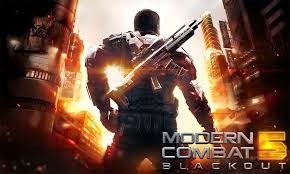 Hi, alot of request have been made to me on the direct link on how to download Modern Combat 5 BlackOut apk, well, just incase you have not played this android action game before then you are missing. its so addictive, the graphics is superb! and new features has been added. Step into the action as the latest installment in the best FPS series raises the bar for shooter games once more! Create a squad, add your friends and test your individual and team skills against other squads in dynamic multiplayer warfare! Also Read: How To Make Your Android Battery Last 2-3 Days. >> SUPPORT CLASS REPORTING FOR DUTY! -Weapon camos, masks, logos and kill signs. just follow the procedure to Get it done correctly on your Android devices. kindly share this by clicking on any of the share button below and also we love comment, should in case you have difficulty in doing this notify us in the comment box below. yes dear, its was design to work online but with the above tricks i stated you can now play it offline. enjoy.. thanks for dropping by.. The download links are not working again, plus fix it. ok, Thanks for notifying me. the link has been updated and fixed with the new updated. enjoy. The download links are dead, plus fix it. Thanks. Hello i did the above requirements but ut says invalid lisence when i start it.Any solution? Are you running on lollipop or rom? if yes , it might not work due to lollipop issues, but if no, i suggest you reboot your phone. and retry the steps. Ils not working on Samsung j7 6.0.1 marchmallow. hi, i was download Modern combat Apk (i put on download folder) & Modern combat Data (i put at obb folder). But when click apk file, it show error "App not installed". I save moderne combat game on internal memory. 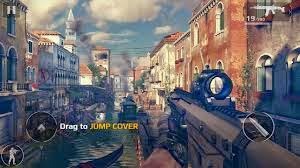 OR do I need to save modern combat game to SD card then run apk file? Thank if u can solve my problem. Note: i am using xiaomi mi max.